Howdy friends! I’m home from Quilt Market and trying to jump back into regular life. It was a great time and I look forward to trying to process it all so that I can share some of the highlights with you. I apologize for the hiccups with the Virtual Quilting Bee Block this weekend. Both Amanda and I were at Market with limited internet access. Poor Amanda’s server has been having glitches. Talk about stress for her. After having the chance to make my own block today I thought I’d share another technique for Inset Seams (or Partial Seams) since it’s a little bit simpler and quicker. Feel free to use whichever method you choose. Since there was a little confusion on the block, I thought I’d show my process. Go here for to see the block cutting requirements. **I did make one change – I cut my center square 3.25″ (instead of 3.5″) and it worked perfect. ** Make outside flying geese blocks per Amanda’s instructions. After four Flying-geese units were created I laid out my pieces. Starting with the top flying-geese unit, I lined up the right side with the right side of my center square and sewed a regular 1/4″ seam, stopping and back-stitching about 1″ from the end. 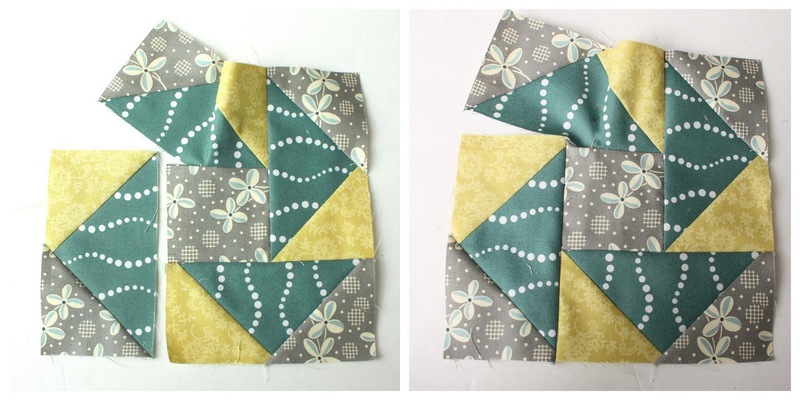 Going clockwise, you will notice that the second flying-geese block is the same length as the right side of the pieced unit. 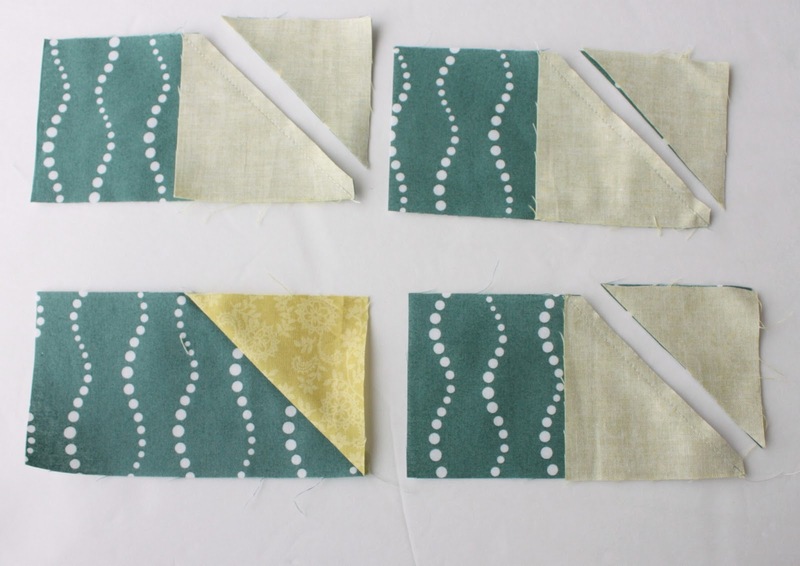 I sewed the second flying-geese block to the pieced unit like normal and pressed the seam toward the flying-geese block. No inset-seams to worry about. Easy-peasy. Repeat the same process again, moving clockwise and sew the third flying-geese unit to the bottom of the growing block. Repeat one more time on the final side. Now we are ready to finish of the final side. Fold down the original flying-geese block, matching up edges and finish sewing the partially-sewn seam. 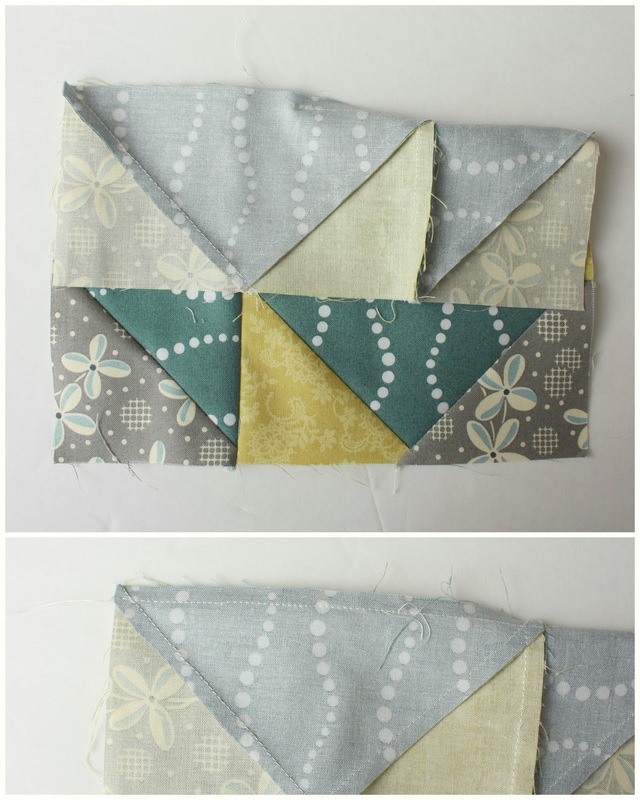 Fold back up, press seam toward the flying-geese unit and voila: you did it! I hope that helps. I’m sorry again for any frustration or confusion. Thanks for your patience and for those who chimed in in the comments to help out while I was unavailable. Your version looks great :o) Hope you had fun at Market when you weren&#39;t stressing about this! Your version is simply perfect! So easy to understand…can&#39;t wait to try it! I also love, love, love the colors of your block. hope things are getting back onto an even keel this week. Your tutorial is great, I&#39;ve never tried that technique before. Bellissimo il tuo tutorial!! una pistrella veramente interessante diversa da altre! Grazie! Thanks! You make it look so easy! Oh! Thanks! This helped bc I am such a visual learner and a newbie at sewing! Thank you! I am going to make a new one right now! Thanks. Instruction just as valid as when shared 2013.